In restoring an historically valuable flute, our goal is to return it to its former playable condition while limiting repairs so as to retain as much of the original flute as possible. This conservation strategy takes into consideration the instructions of the customer as well as the historical significance of the instrument. We inspect and evaluate the instrument, making a list of repairs needed, and discuss the work with the owner before beginning any work on the flute. 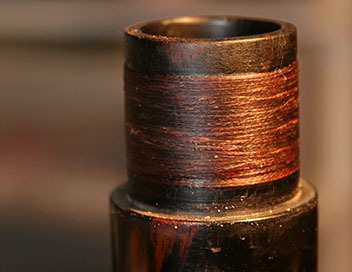 When restoring an instrument, we first stabilize the wood if necessary to prevent further deterioration, then we begin repairs which may include such things as removing oxidation and dirt from the bore and mechanism, revitalizing the wood with appropriate oils, separating jammed sections of the flute, closing and bonding cracks, repairing key-work, rebuilding broken and missing parts.